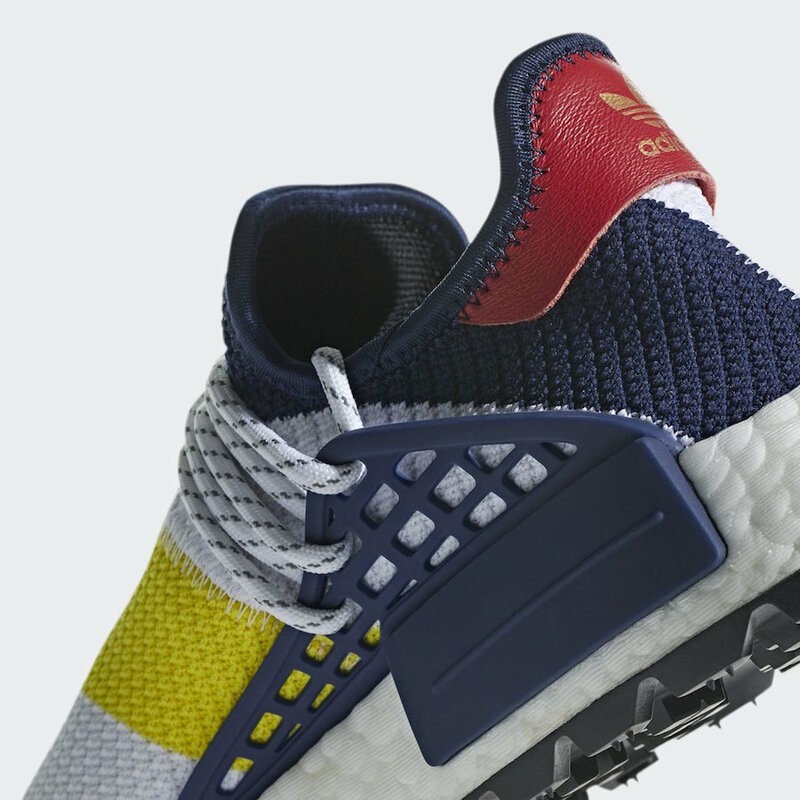 Billionaire Boys Club will be releasing another exclusive adidas NMD Hu Collection for Fall 2018, which was confirmed back in January. 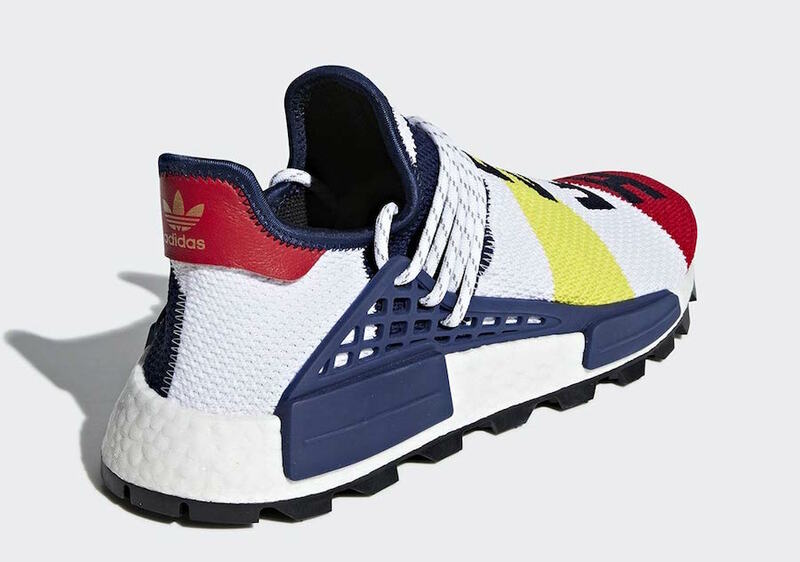 One of the pairs that will be releasing is the adidas NM Hu Trail “Heart/Mind” edition that’s highlighted with bold strips in White, Navy, Red and Yellow. Both “Heart” and “Mind” words on present on the front of the shoe atop a White Boost midsole, Navy EVA insert overlays and Black trail rubber outsole. Look for the BBC x adidas NMD Hu Trail “Heart/Mind” to release on October 20th at select retailers and adidas.com. The retail price tag is set at $250 USD. UPDATE: adidas releases official photos of the BBC x Pharrell x adidas NMD Hu “Heart/Mind” collaboration that will release on October 20th. UPDATE: Following a look at the samples, we now receive some new sample images of the BBC x adidas NMD Hu via leodipeo. Instead of a text font, which is expected on the retail pair, this version of the shoe features BBC’s patented space-themed helmet logo featured on the left shoe while a giant “B” comes embroidered on the right. While these are unlikely to be the retail pair, they could be a Friends and Family exclusive.